The greatest guitar players are the ones who changed everything. There have been many great guitarists throughout the history of rock music. A quick internet search will lead you to multiple lists touting the best of the best, and ranking them accordingly. These lists tend to stir up a lot of controversy, and I doubt there has ever been a guitar player or music fan who completely agreed with any of them. We all have our own opinions on how famous guitar players should be ranked from first to worst, and the subjective nature of music means nobody is really right or wrong. You’re probably not going to agree with this list either, and that’s okay. However, the intention here isn’t to get you to punch your laptop by suggesting that Jack White is somehow a better guitar player than Ritchie Blackmore. Instead, think of this list as more of a historical discussion. Great artists do not appear out of nowhere, though it might seem like that sometimes. Even the most talented musicians have guitar heroes who inspired them to pick up the instrument and play, or to become better songwriters. Every guitar player stands on the shoulders of the influential artists who came before them. That goes for you and me, as well as the best players in the world today. While we could list hundreds of great guitarists if we wanted to, the number of guitar players who truly changed music is much, much smaller. These are the players who influenced millions, and left the world different than they found it. You might argue there are way more talented players than some of these guys, but it’s tough to say there are many who had a greater impact on the direction of rock music. It is widely accepted that rock and roll evolved from rhythm and blues. While there were many musicians responsible for that evolution, from a guitar perspective Chuck Berry was at the epicenter of the shift into a new genre. Berry was an excellent guitarist with tremendous energy in both his solos and rhythm work. His sound and style played a huge part in defining what rock and roll would become, not only in the 1950s but for decades into the future. He was also a great physical showman, running about onstage and doing things with a guitar that nobody had ever done before, at least not in public. This was at the tail end of the big-band era, when most musicians simply stood there onstage, nicely dressed and well behaved. Chuck Berry showed guitar players it was okay to be excited about what they were doing, and it was even okay to be a little edgy. If you have to pick a place where rock guitar started, it’s tough to argue there is a better place than the fingers of Chuck Berry. He was the bridge between rhythm and blues and something totally new, and he was an influence over countless guitar players who, after hearing him, decided to step away from jazz, blues or country and give this new rock and roll thing a try. In the 1960s the British Invasion forever changed the world music landscape, and rock and roll would never be the same thanks to bands like the Beatles and the Rolling Stones. But who influenced the Beatles and the Rolling Stones? Chuck Berry and American R&B, for sure, but Buddy Holly and the Crickets were another huge influence. Holly will never be considered among the greatest guitar players of all time, but he was a competent and creative musician for his era. Anyway, that’s not what this list is about. It’s about who made their mark and sent music in a new direction, and there is little doubt music today would be much different without Buddy Holly. Buddy Holly and the Crickets were one of the first guitar-oriented rock and roll bands with a consistent lineup who also wrote their own music, something seen as commonplace for bands a decade later. We might even argue that Holly is at least partially responsible for the success of one of the most iconic guitars every created, the Fender Stratocaster. While the double-cutaway Strat design is now well-known, it was pretty futuristic for the 1950s. 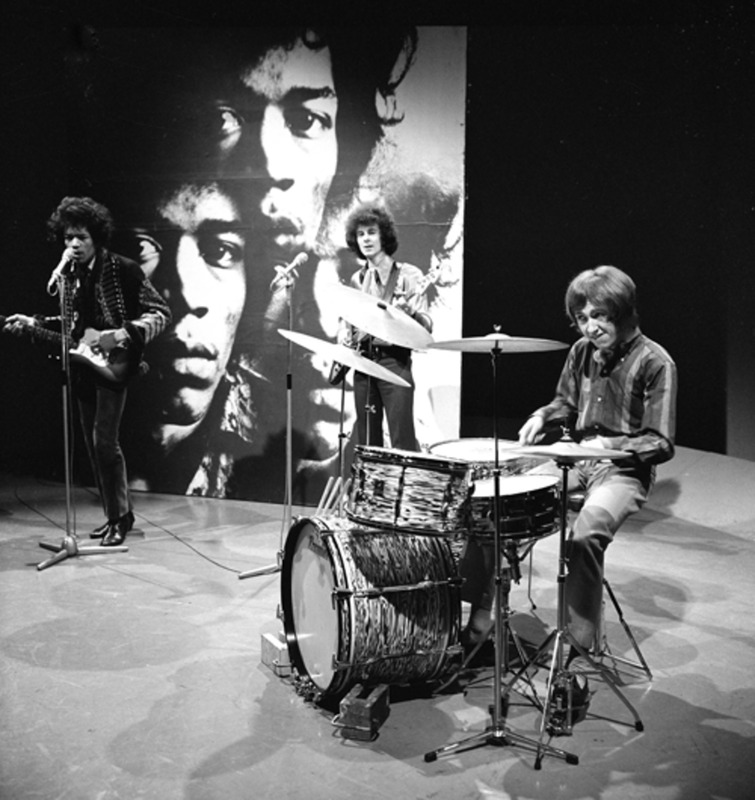 When Holly appeared on the Ed Sullivan Show playing a Strat it was something many people, even guitar players, hadn’t seen before. After taking a moment to compose himself and choke back his annoyance, he told me, in essence: Unless you were a guitar player, or at least a music fan, back in 1964, there is a good chance you’ll never truly understand why the Beatles were so amazing. While the sounds they created seem quite ordinary today, there was nothing else like them at the time. In other words: You had to be there, at that moment in history when the Beatles arrived on the scene, to really appreciate the impact they had on music. Years later, a little older and wiser, I now see how right he was. Bands and guitar players around the world did everything they could to sound like the Beatles back then, and that includes bands with guitarists who went on to make their own marks in the music world. While those of us who didn't live through it may not ever really "get it", it is clear that the Beatles really did change everything. The playing and songwriting of John Lennon and George Harrison (and bassist Paul McCartney, to be fair) inspired thousands of young musicians, and many of those players went on to become the guitarists I idolized, twenty years later. Is it accurate to say that Eric Clapton was the first true guitar hero? Maybe. In any event, it is certainly accurate to say he had a huge influence on rock musicians who emerged in the late '60s, ‘70s and ‘80s. Clapton is known today as a solo musician, but he was also part of some of the most influential rock groups of the ‘60s. He joined the Yardbirds in 1963, a band that would later feature guitar greats Jimmy Page and Jeff Beck. Here the Clapton legend began to take shape, but he soon left the band to pursue other projects, most notably with John Mayall and the Bluesbreakers. In 1966 Clapton joined Cream, another hugely important band of the ‘60s. Influenced by Jimi Hendrix (and vice versa) he began to experiment with different sounds, and his style continued to evolve. To my ear, Clapton’s playing in Cream walked the line between the blues-rock British invasion sound of the ‘60s and hard rock of the early ‘70s. In this sense, like many players on this list he is a bridge from an established genre to something new. 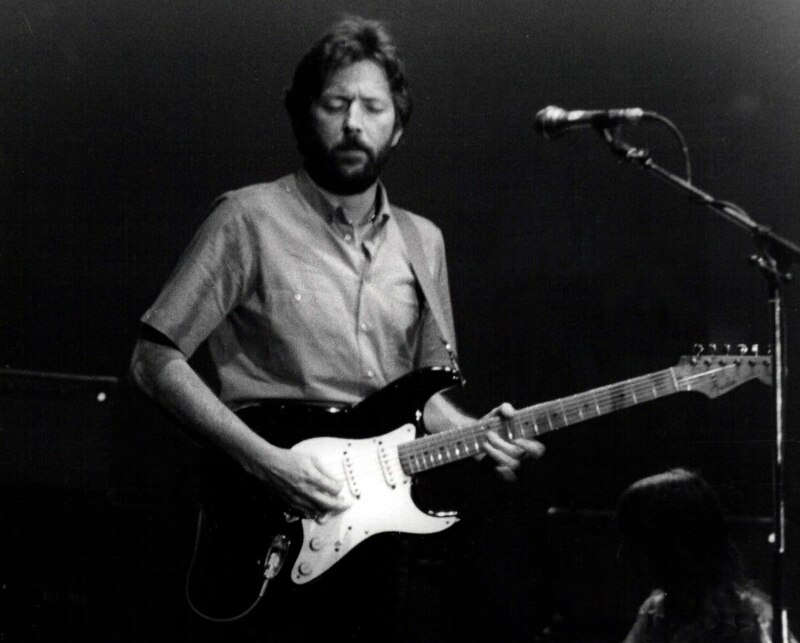 There is a strong case to be made that Eric Clapton is the most influential guitarist of all time. For younger players who don’t understand why he is so great, check out the Cream years and it will become clear enough. Don’t stop there, though. He went on to play with Blind Faith and Derek and the Dominoes before his successful solo career. I’ve already said this isn’t supposed to be one of those lists of the best guitar players in the history of ever, but if it were Jimi Hendrix would be near the top. When it comes to pure talent he seemed to be from another planet. Maybe there is some far-off alien world brimming with millions of people like Jimi, but here on Earth we've only gotten one so far. Hendrix's otherworldly command of the instrument was only part of the reason he was such a huge influence on just about every rock guitar player who came after. He also had an amazing feel for tone and texture, and a knack for innovation most of us can barely comprehend. He started as a blues guitarist, and was influenced by early rock guitarists such as Chuck Berry. In the mid 1960s he cut his teeth as a backing guitarist before making his own way. The blues remained a big part of his style throughout his short career, but he also helped forge the beginnings of the hard rock sound in the late '60s and early '70s. His official body of work is small compared to many of the greats, and he left a legacy of three studio albums and one live record before his death in 1970. Many will say the prototype of the ‘80s hard rock band with the wild, free-spirited vocalist and gunslinger, virtuoso guitar player was Van Halen. There’s a good case to be made for that, but if you really think about it we can look back all the way to Led Zeppelin for the earliest inklings of what rock music would become. Robert Plant was certainly flamboyant, but somewhat of a wallflower compared to David Lee Roth. And Page is a master on guitar, although if he was a gunslinger he was an outlaw with a cerebral side. Led Zeppelin influenced thousands of guitar player who would go on to shape the rock and metal sounds of the later ‘70s, 1980s and onward. Like Clapton, Page got his start with the Yardbirds before forming Led Zeppelin in 1968. From there it is impossible to understate the importance of his impact on the guitar world, especially the hard rock genre. To me, Page is the master of tone and color. Sure, there are a lot of guitarists with amazing tone, but Page seems to command his sound like no other. Through the nuances of his playing, the manipulation of the guitar pickups and the creative use of effects he took the guitar to another level. It’s tough to find a hard rock or metal band that hasn’t been influenced by Black Sabbath, whether they know it or not. The crushing sounds and dark chord progressions we take for granted today all started with Tony Iommi. Black Sabbath are the godfathers of heavy metal and, thanks to Iommi, legions of young guitar players started experimenting with heavy sounds. Those guitarists who were kids in the ‘70s grew up to become the hard rock, thrash and death metal guitarists of the ‘80s. Without Iommi and Black Sabbath many of the great metal bands we know today may never have happened. But ‘Sabbath was far more than just a doom-metal wrecking machine. Iommi’s songwriting features a heavy blues influence, a little jazz, and a period-appropriate dose of trippy, psychedelic jamming. Songs like Symptom of the Universe and Sabbath Bloody Sabbath start with fierce power chords but also include a melodic, undistorted change of pace. Black Sabbath's original lineup featured the pioneer of extreme metal guitar in Iommi, one of the greatest metal rhythm sections of all time in drummer Bill Ward and bassist Geezer Butler, and the legendary Ozzy Osbourne on vocals. It doesn't get much better than that. 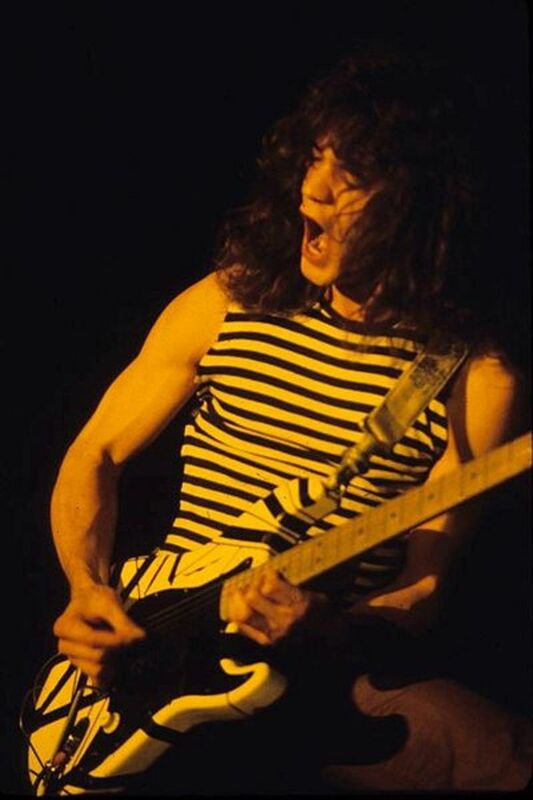 While Eddie Van Halen may have to battle players like Hendrix and Clapton for the title of Greatest Guitarist of All Time, he would certainly make the short list. The shape of ‘80s hard rock took form largely because of Eddie’s influence, and his tinkering led to the popularity of the hot-rodded Stratocaster. Even if Eddie had never made it big we would still feel the reverberations of his greatness. He was a local legend in the Los Angeles area music scene, a contemporary of Randy Rhoads and an inspiration for guitarists like George Lynch, Warren DeMartini and Jake E. Lee. Years before a national audience ever heard Eruption on Van Halen’s first album, Eddie had made an impact. Fortunately for guitarists and the world at large, Van Halen went on to be one of the greatest rock bands in history, and Eddie’s playing and songwriting were a big reason. His tone, style and innovation shaped a generation of rock and metal guitar players around the world. Many musicians have since done what Eddie does, but he was the forerunner, a musician who changed everything. It’s not that the electric Texas blues was unheard of with mainstream audiences when Stevie Ray Vaughan came to the attention of the guitar-playing public in the 1980s. ZZ Top has a darned good guitarist named Billy Gibbons who made the blues cool starting back in the ‘70s. 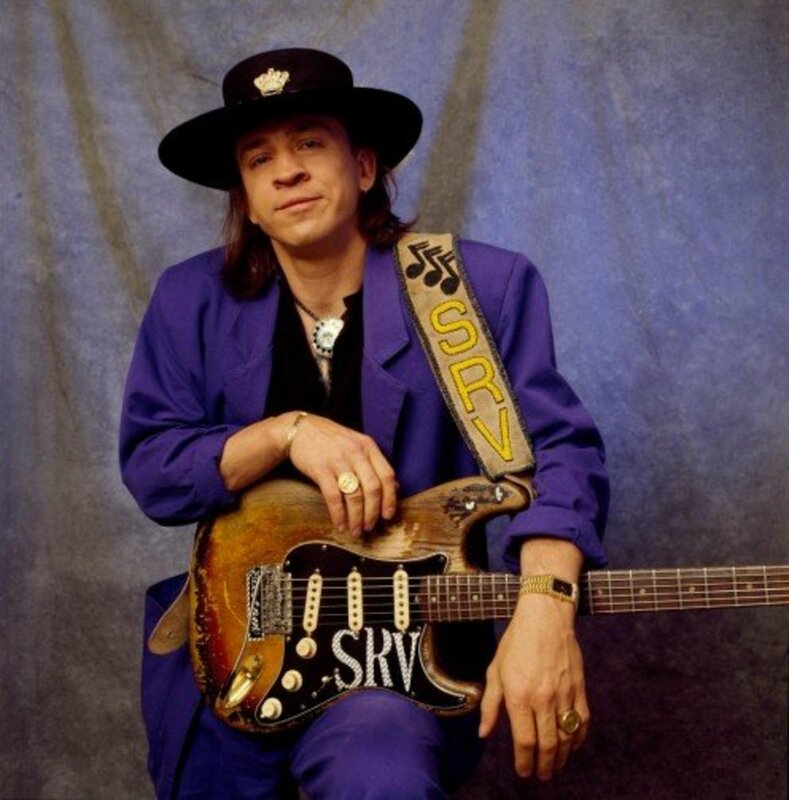 But SRV was a bit grittier, taking his cues from players like Albert King and applying it to a rock setting. He had something about his playing, tone and attitude that hadn’t really been captured by a rock guitar player up until that point. SRV was a tremendous player with off-the-chart skills, but some of his songs ended up on that charts. He achieved a fair amount of commercial success, but more importantly he introduced many young guitarists to the blues, myself included. I remember “discovering” Stevie Ray Vaughan on late-night TV sometime in the ‘80s. I thought he was amazing, and suddenly a kid with an Ibanez Rhoads V copy was trying to learn blues riffs. 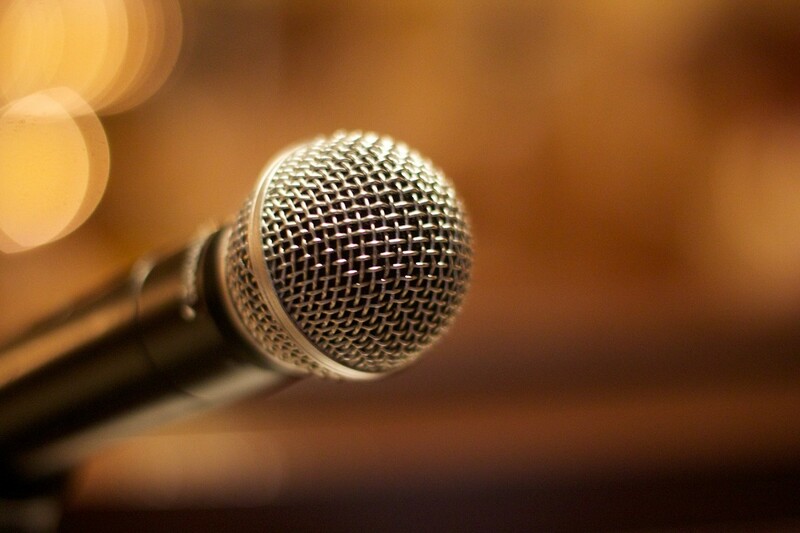 Stevie battled the demons of drug and alcohol addiction and by accounts seems to have won, but an unfortunate helicopter accident took him from the world at the age of 35. He left behind four studio albums (with two more records released posthumously) and a legacy of one of the best blues guitarists of all-time. The rock history books are filled with stories of talented shredders, even some who dabbled in the classical side of guitar. Ritchie Blackmore typically gets credit for getting the ball rolling when it comes to melding classical music and heavy rock, and Randy Rhoads is often mentioned. However, not until Yngwie J. Malmsteen released Rising Force in 1984 did the guitar world really understand the possibilities of a classical/metal fusion. Malmsteen’s playing on Rising Force is just plain bonkers, to use a non-technical term. Laced with speed, precision and mind-blowing sweep arpeggios, today the album is recognized as one of the most significant rock guitar records of all time. That’s saying something for the period when it was released. It wasn’t hard to find a guitar hero in the mid ‘80s. Unlike today, there were great new players popping up left and right. But Yngwie was something beyond the rest, and he was an inspiration to young guitarists who became driven, as he was, to take the instrument to another level. 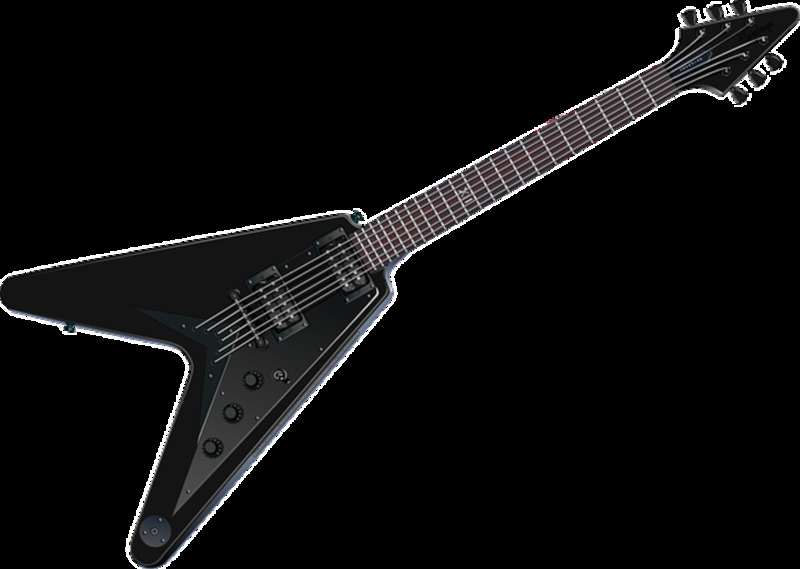 Thrash metal emerged back in the early 1980s, around the same time Van Halen-inspired glam metal was becoming popular. 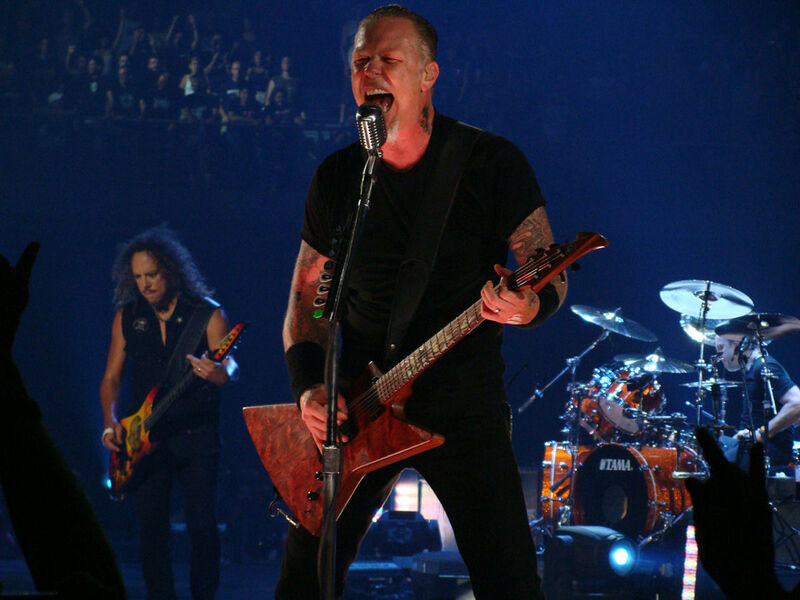 Thrash gave metal fans a reprieve from the glossy Sunset Strip vibe, and Metallica was the poster kid for this new breed of metal. Early Metallica was a juggernaut like no other - brutally heavy, fast and mean - but the band also had a musical, progressive side. Along with Slayer, Anthrax and Megadeth they comprised the unofficial Big Four of Thrash, but Metallica always seemed to be at the tip of the spear of this new movement. Kirk Hammett gets a lot of credit as a guitarist in Metallica, but to me James Hetfield has always been the force behind this band’s sound. 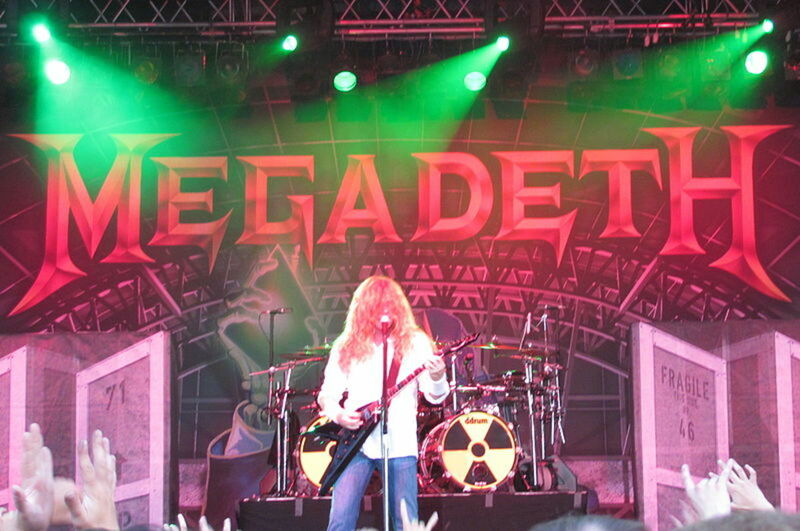 His songwriting and heavy right hand are what made the albums Ride the Lighting and Master of Puppets so huge, and these are two of the most influential metal albums of all time. If you are a young metal player you can’t do better than studying Hetfield’s riffs and technique. Don’t worry if you can’t keep up on songs like Battery - there are many veteran guitar players who can’t. But if you keep at it you’ll get it, and you’ll be a better player for the ordeal. The thrash movement took rock music to a new level of heaviness, but it didn’t take long for metal guitarists to push things even further. The American death metal movement began in the ‘80s. In the ‘90s it was a welcome sanctuary for metal fans who saw many of their favorite thrash and classic metal bands on the decline during the grunge years. If Tony Iommi is the godfather of heavy metal guitar with Black Sabbath, Chuck Schuldiner is the godfather of death metal with his iconic band Death. Bands like Deicide, Morbid Angel and Obituary soon followed, marking another metal movement in the United States, this time centering on the Tampa, Florida, area. Death was a heavy band, and Schuldiner’s vocal style, while unique at the time, obviously influenced a lot of metal vocalists in the years to come. But Death also featured a progressive style and very creative songwriting. 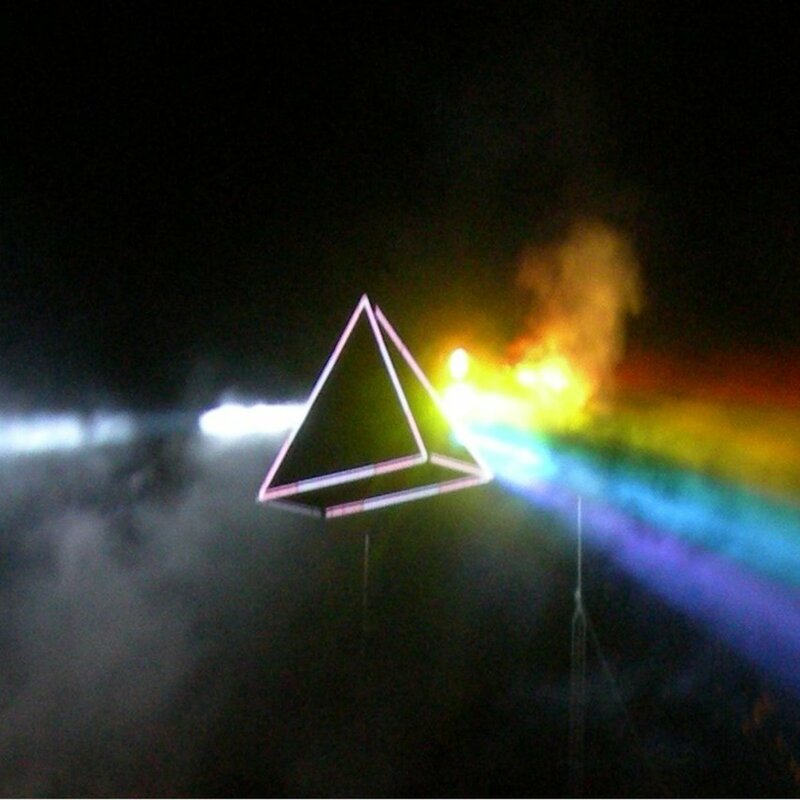 Personally, I had the privilege of seeing them in small club during their Symbolic tour, and they were an amazing live band as well. Schuldiner passed away in 2001 at the age of 34 due to a brain tumor. He launched a genre, influenced thousands and left us with seven classic albums. If you’re like me, smoke probably comes out of your ears whenever Kurt Cobain is mentioned on one of those "best guitar player" lists, ahead of more competent players. However, Cobain was a decent songwriter, and as the front man of Nirvana he inspired a lot of guitar players. That’s a good or a bad thing, depending on how you look at it. From a certain perspective, Cobain and the grunge movement had a positive impact on guitar. See, back in the ‘80s the process of learning guitar was pretty intimidating. It was even elitist, in a way. 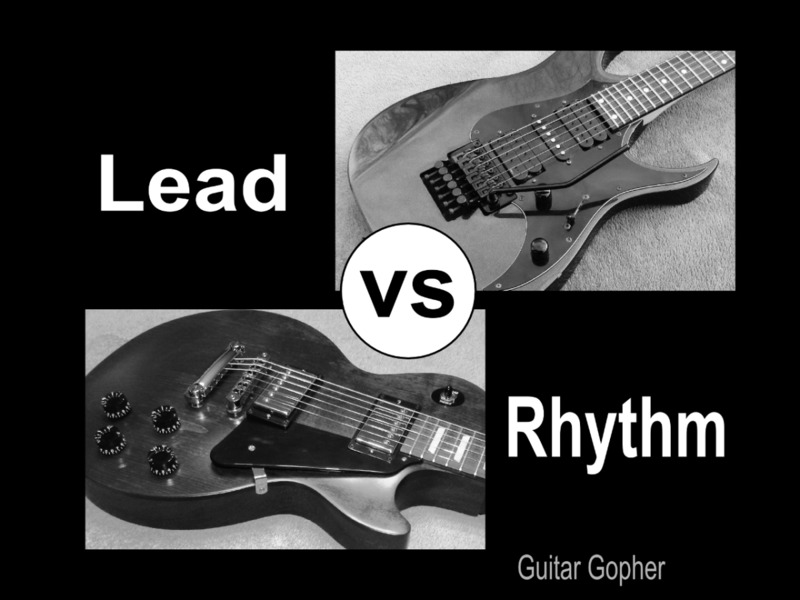 Listening to Van Halen, Randy Rhoads or Yngwie either got you fired up and ready to practice, or made you want to give up. This was the Golden Age of Shred. It was clear that to succeed as a rock guitarist in the '80s you had to be good, and it got more and more competitive each year. 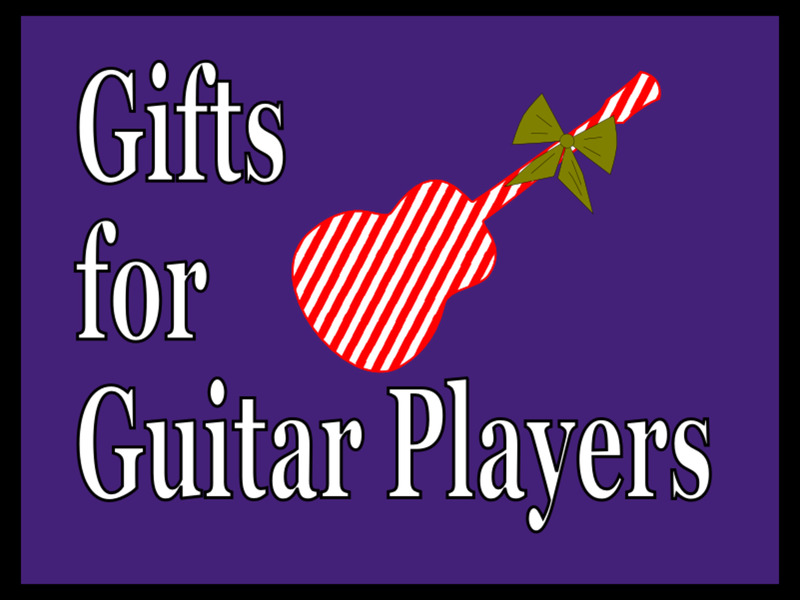 Unfortunately, many young guitarists got frustrated and chose to quit. The ‘90s were different. Rock music calmed down, got back to basics, and the instrument became more accessible. Where it would take you months or years to get good enough to play a Van Halen song, you can learn Nirvana's Smells Like Teen Spirit during your first few days of playing. The bar was lowered, and while it is arguable whether this was a good thing for guitar or music in general, it did make the instrument less intimidating for many young players. As a result, many more likely stuck with it, and some of those players have gone on to great things. While writing this it really struck me how the impact of one musician can have a domino effect on so many who come after. One guitarist can change everything, for better or worse. I think this is important to remember in our own playing. None of us live in a musical vacuum, and what other players have done should be important to us. That could mean copping the style of an amazing player, morphing it into something of our own, or deconstructing it and making something totally different. 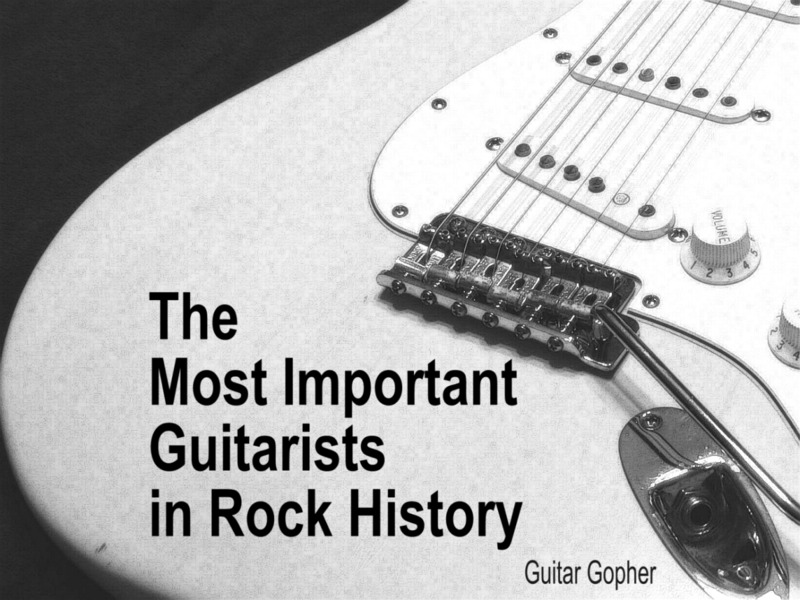 And I’m sure you can think of other guitar players who might be worthy of making this list, even some who weren’t rock players yet influenced rock music from the outside. So let me know in the comments. Who do you think are the most important rock guitar players in the history of music, and which have been the most influential for you? Who Is the Most Important Guitarist Ever? They're all important, but what if you could pick only one? @Wesman - I agree. It's tough to make a list like this and not miss a guitarist that others find important. I included Cobain even though I didn't really like him, because he really did change things, for better or worse. But I left out many other great players because. as great as they were/are, they weren't game changers. That's a great Chuck video up there with Keith also involved. You can't really make a list like this without leaving someone out. For me, I grew up thinking Page was the coolest person ever. I've always had people think my record collection must really belong to my father....but I always liked the music from the 70s the best. Maybe 6 of these guys. But have never heard of Keith Richards? His riffs moved you as rock should plus he wrote and co-wrote some of the best rock song ever. So....Kurt C but NO David Gilmour? Top 5 most influential guitarists ALL Time! What a shame!